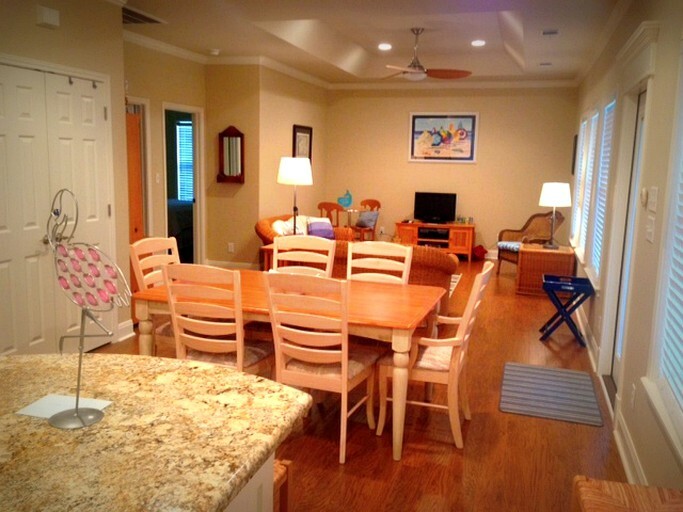 This cozy beachfront cabin is located in Crystal Beach, Texas, and comfortably sleeps 10 guests, perfect for a weekend getaways. There are two bedrooms and two full bathrooms. 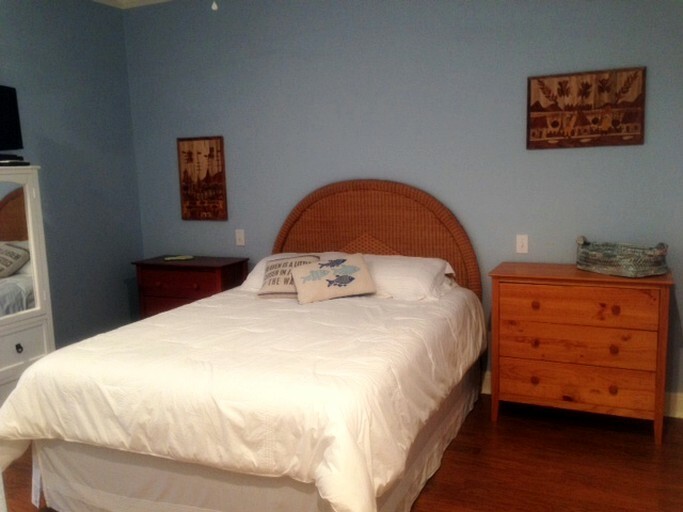 In the master bedroom, there is a queen-size bed and an ensuite bathroom with a shower and bathtub. 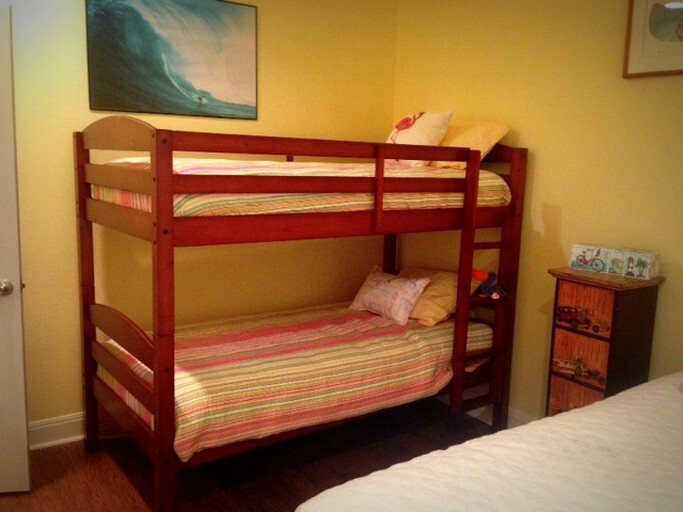 In the second bedroom, guests will find one queen-size bed and one twin-size bunk bed. In the living area, guests can relax in the cozy sofas, one of which is a sleeper sofa, while watching a movie on the flat-screen TV. 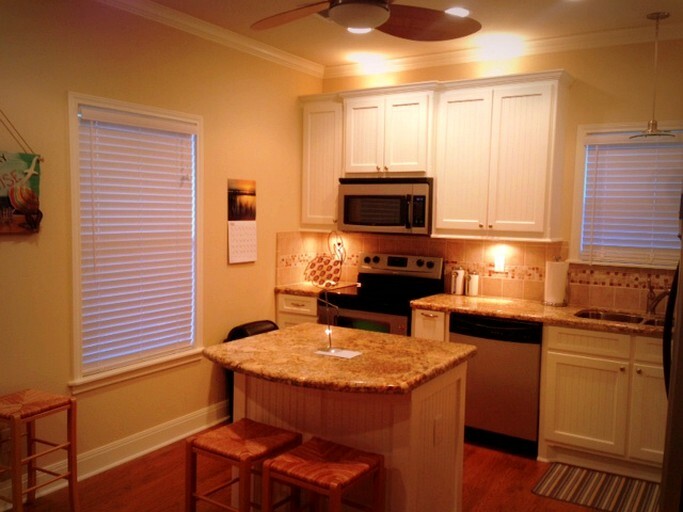 Adjacent to the living area is the dining table and the fully-equipped kitchen that features a microwave, a toaster, a blender, a coffeemaker, a stove, and an oven. 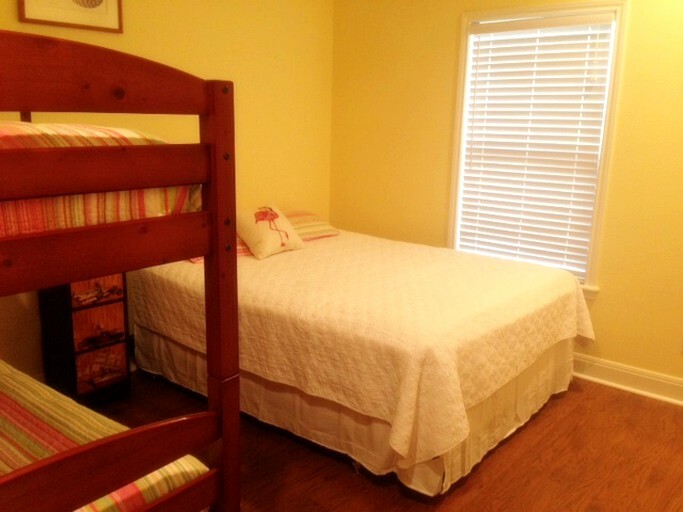 During their stay, guests will also have access to a private washer and dryer. 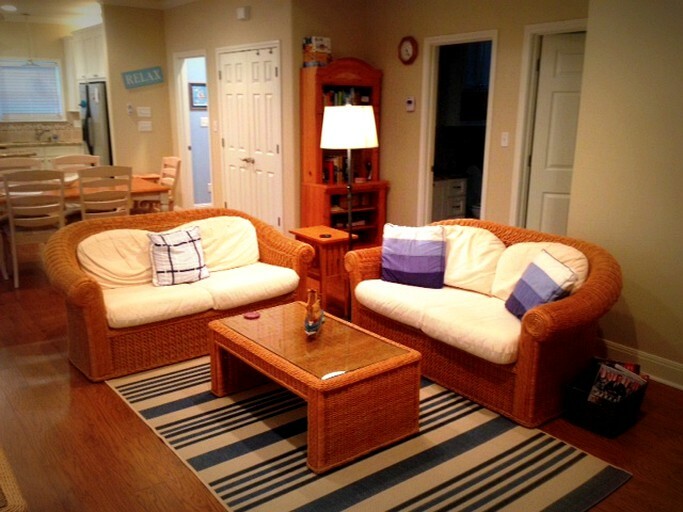 This cozy cabin is equipped with central air-conditioning, heating system, and ceiling fans. For entertainment, guests will have access to a satellite TV, a DVD player, a huge collection of movies, and board games. Outdoors, there is a fish/shell cleaning station for guests to clean up their fresh catch. 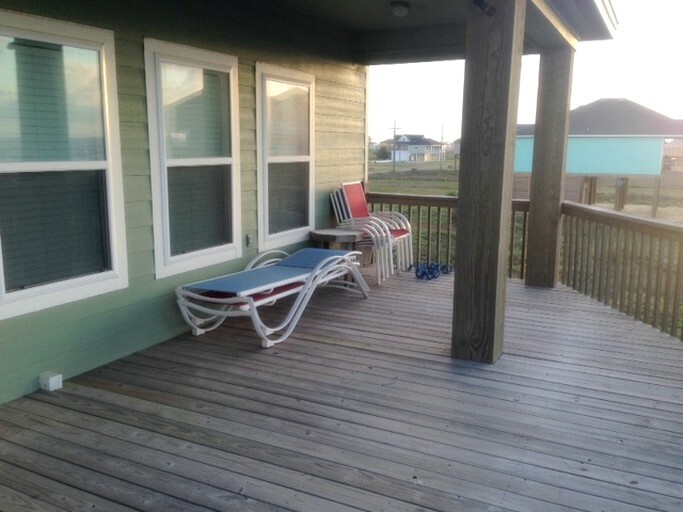 The private deck also features a BBQ grill and deck furniture for convenient preparations of grilled meals. 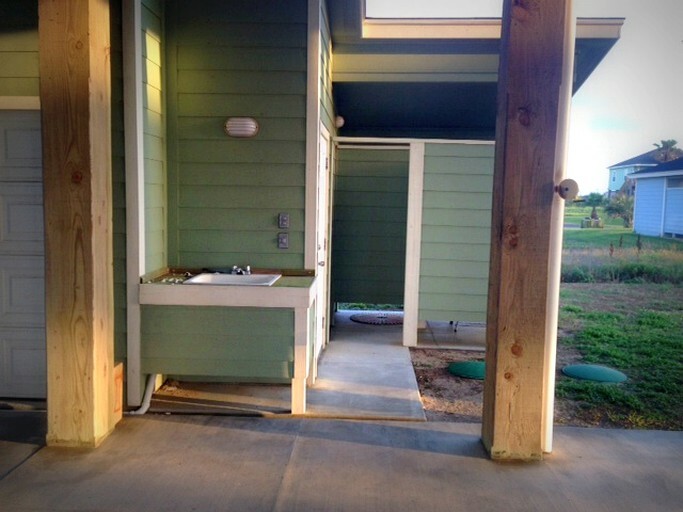 After a day at the beach, guests can clean up in the outdoor shower. 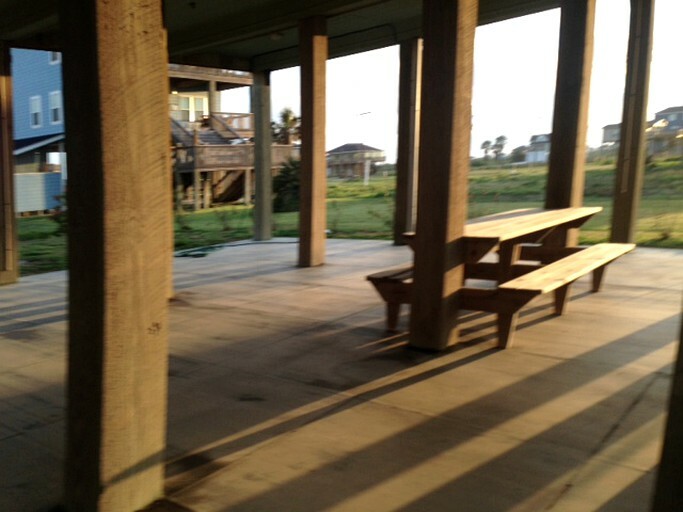 Guests are also welcome to use the outdoor picnic table for a memorable dining experience while enjoying ocean views. 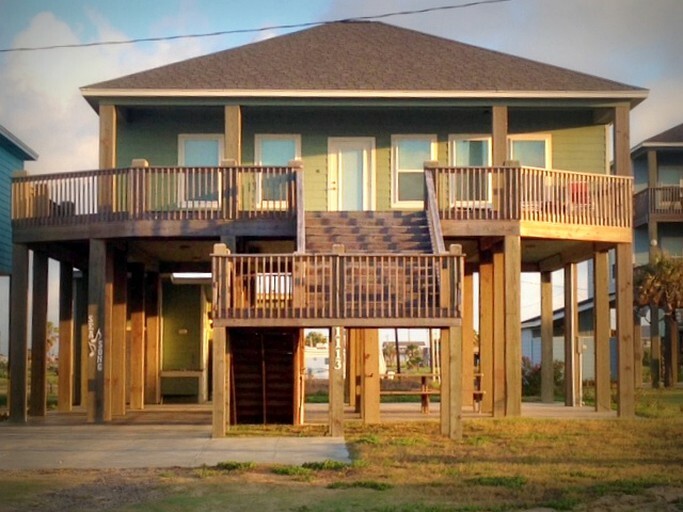 An accommodation beautifully located in the coastal area of Bolivar Peninsula, guests will never run out of things to do during their stay. 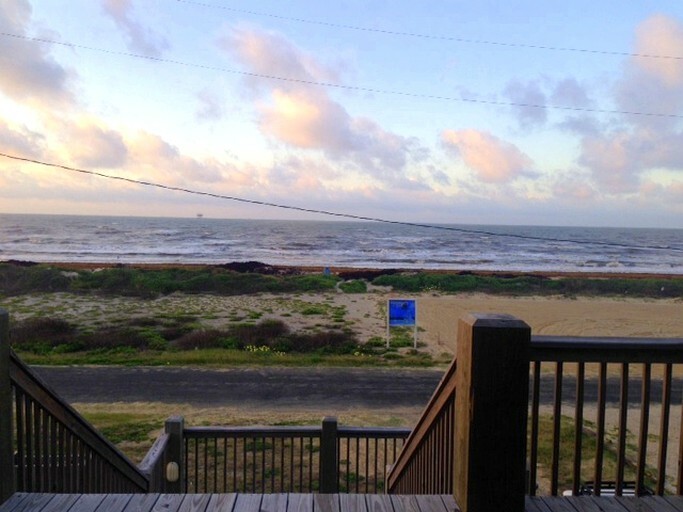 Crystal Beach, which is few minutes from the cabin, is a great place for swimming, kayaking, and riding boogie boards along the waves. 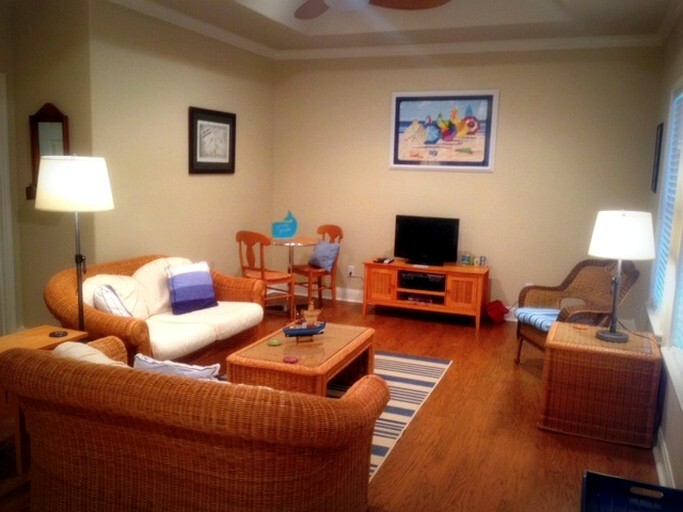 The sandy shores are ideal for sunbathing and watching hermit crabs explore the area. At night, campfires are allowed on the beach as long as there is no current burn ban. 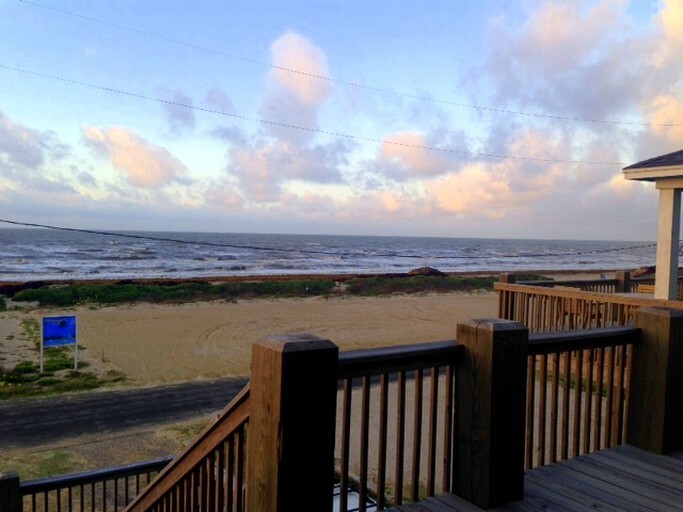 Birdwatching is also a popular activity in Bolivar Peninsula, due to its unique landscape of coastal grasslands, bayous, and sandy beaches. In Bolivar Flats alone, guests can spot birds species such as snowy plover, white ibis, long-billed curlew, and mottled duck. There is also Anahuac National Wildlife Refuge with migratory birds, bobcats, and alligators. In addition, guests might be able to witness over 27 different species of ducks sometime between October to May. For more time with nature and sightings of these stunning birds, glampers can also check out Smith Oaks Bird Sanctuary for living old oaks, water ponds, and nature trails. Extending five miles into the gulf, North Jetty is a popular spot for crabbing and fishing. The ideal time for crabbing is during high tide at the Intracoastal canal, bayside canal, or at the rock jetties. Guests are advised that a fishing license is required for crabbing. Another recommended spot for fishing is Rollover Pass, which is an important landmark in the peninsula. A common catch here includes redfish, flounders, and speckled trout. For glampers looking for an added touch of excitement, Blue Skies Skydiving Center is great for solo or tandem skydiving. The cabin does not offer internet access, allowing guests to fully unwind and experience a unique getaway.